I feel indifferent when I look at it, each piece is well drawn and has excellent light display, but the piece in a whole isn't dark enough to feel emotional and not enough detail to draw me into it longer, a nice table cloth or busy wall paper in the backdrop would have helped me to feel more involved in the still moment. 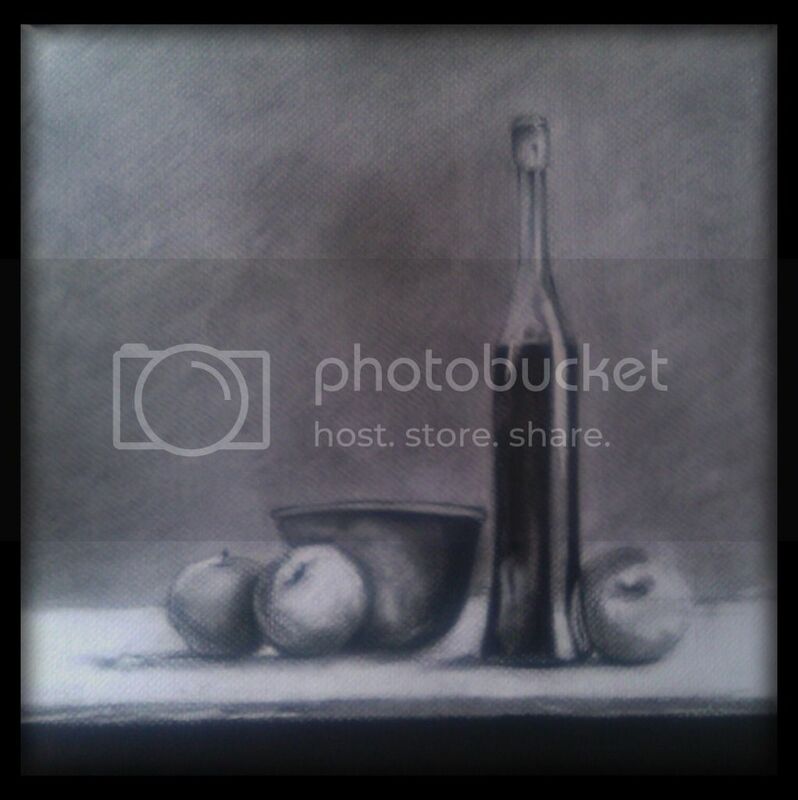 All that being said, its a great first attempt at still life! we will see, might change in the process. I think it looks good. Very serene for a black and white. Yet still has very good contrast and depth.